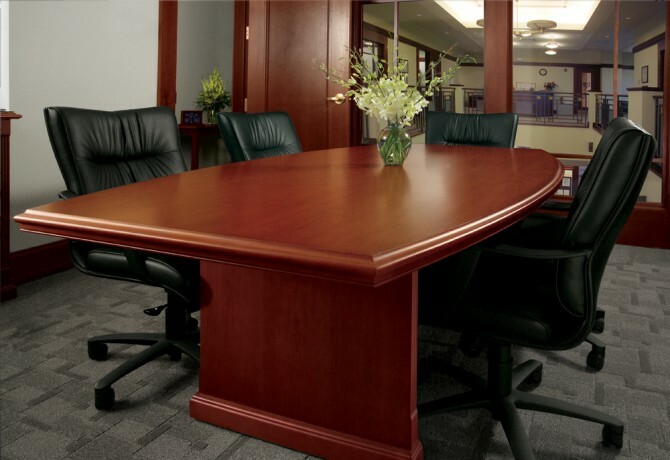 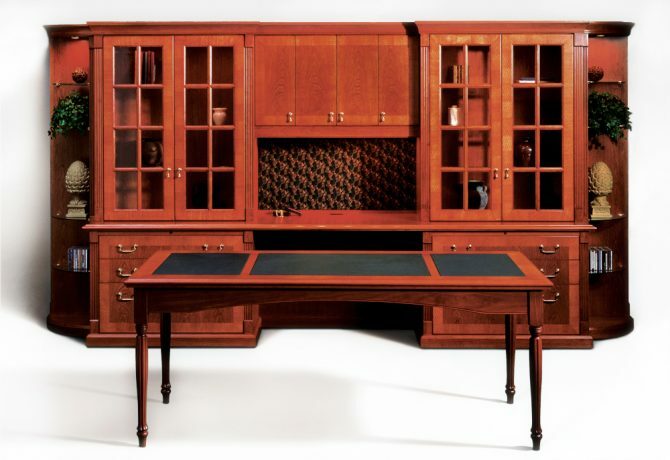 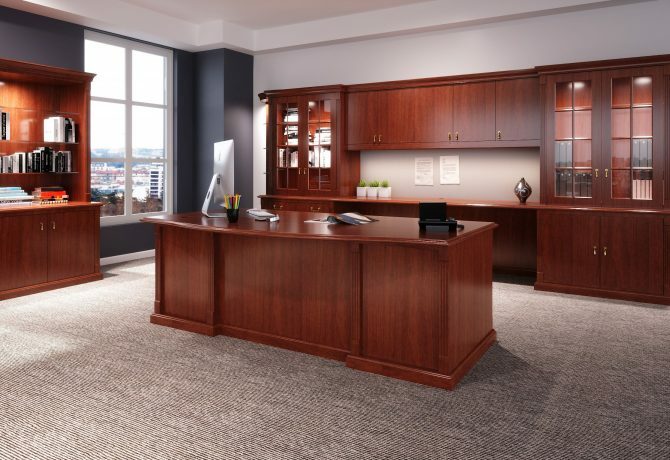 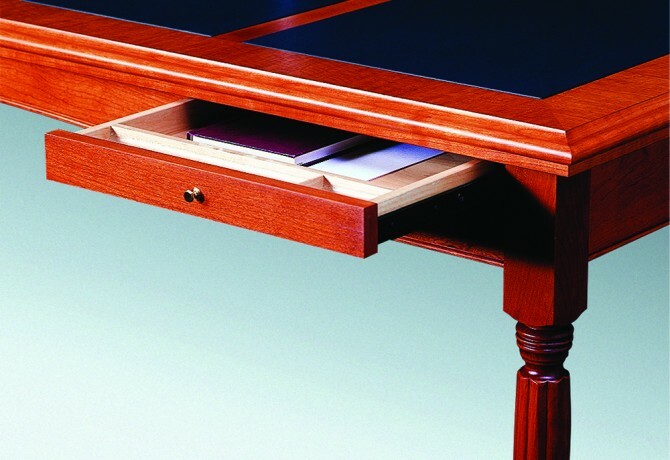 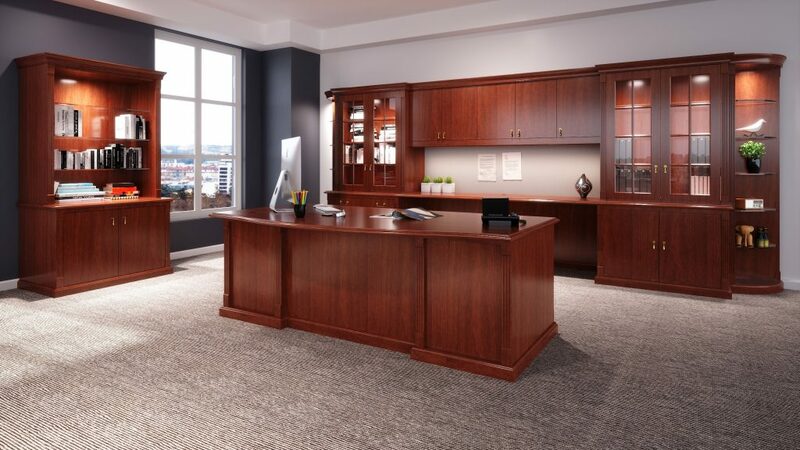 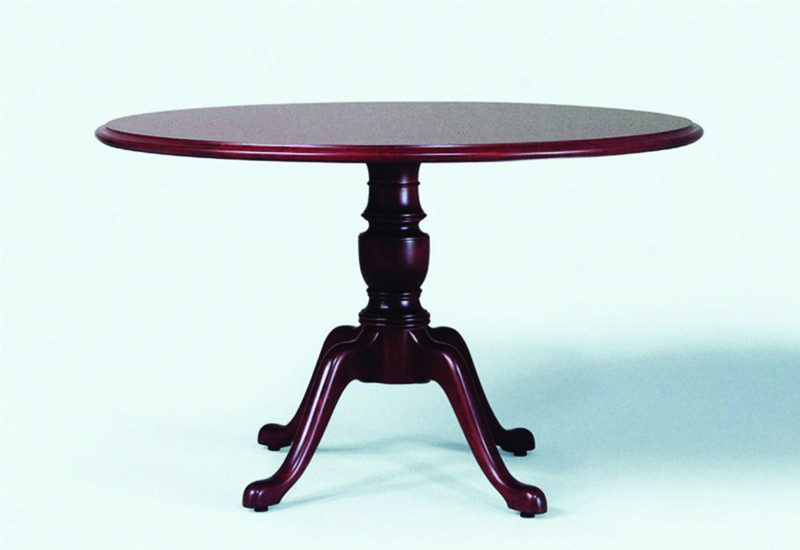 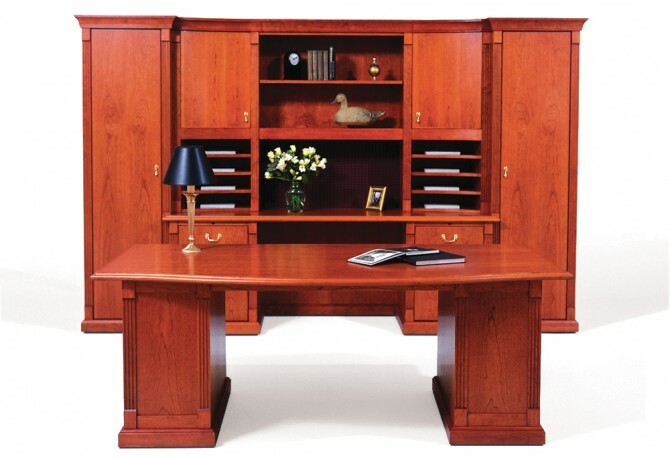 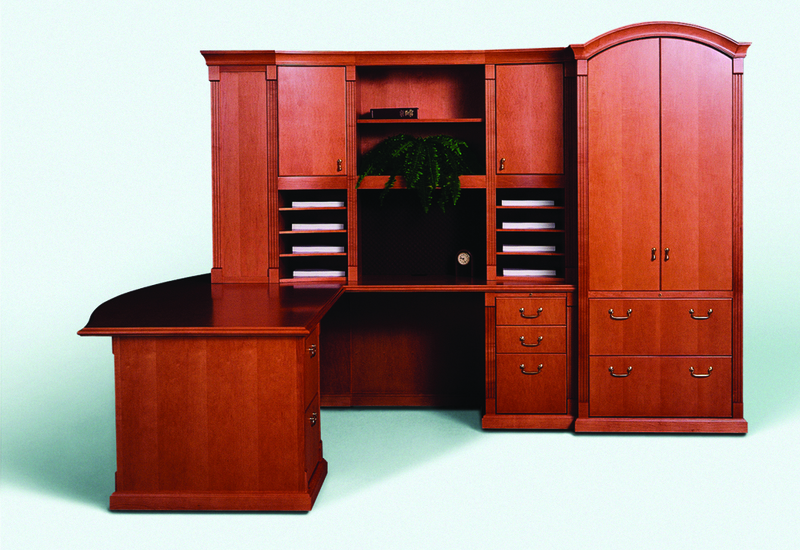 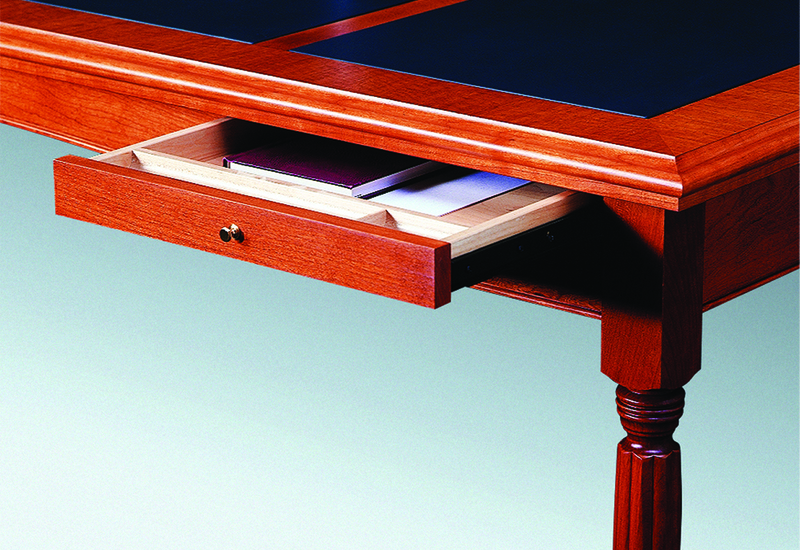 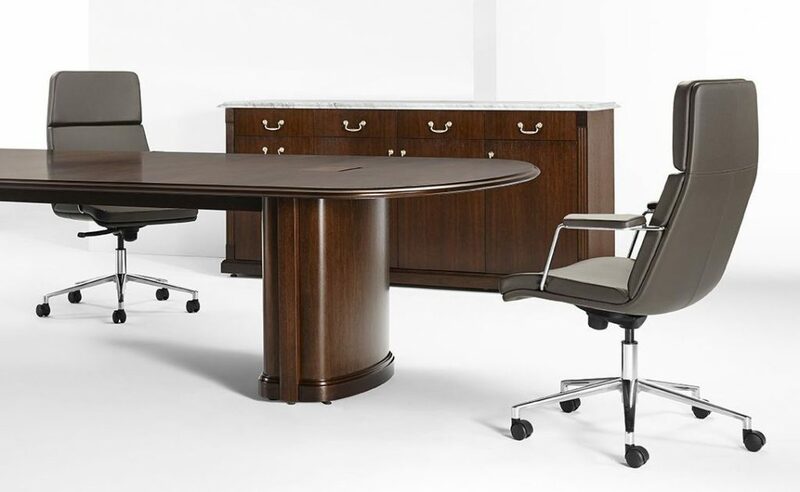 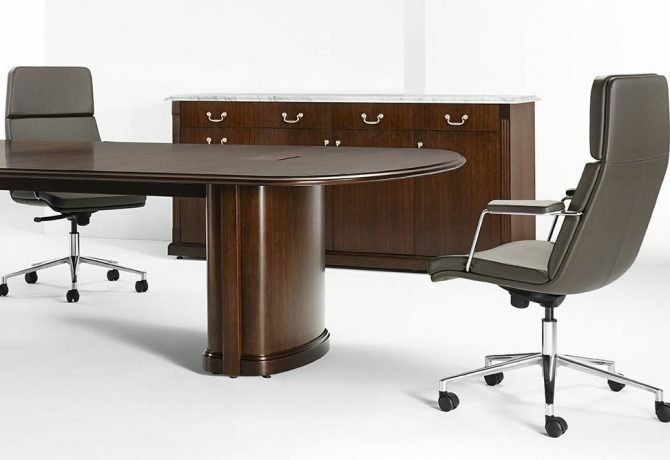 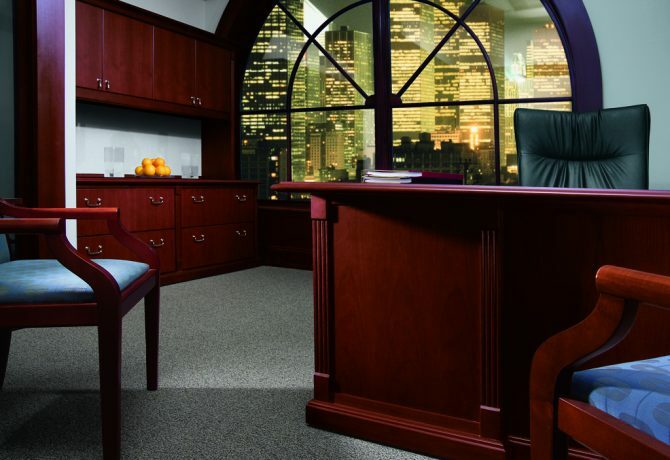 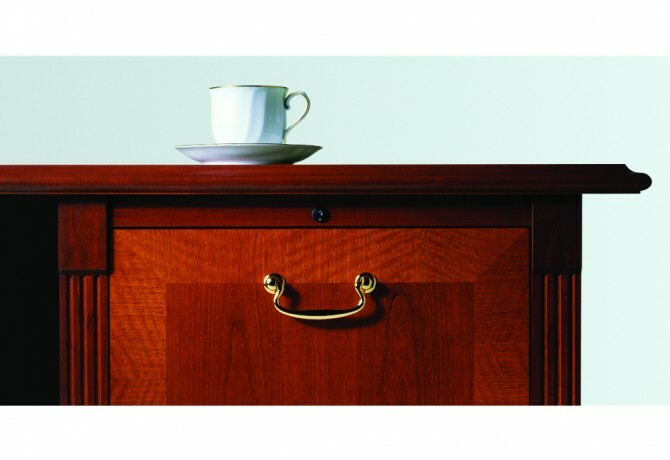 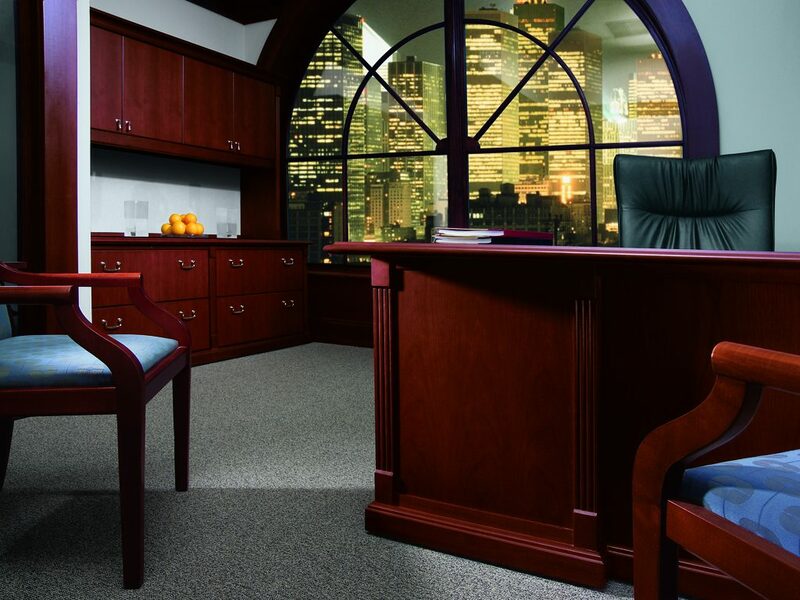 A traditionally detailed design, BARRINGTON satisfies a requirement for organizations desiring timeless traditional aesthetics while still responding to the functional demands of today’s workplace. 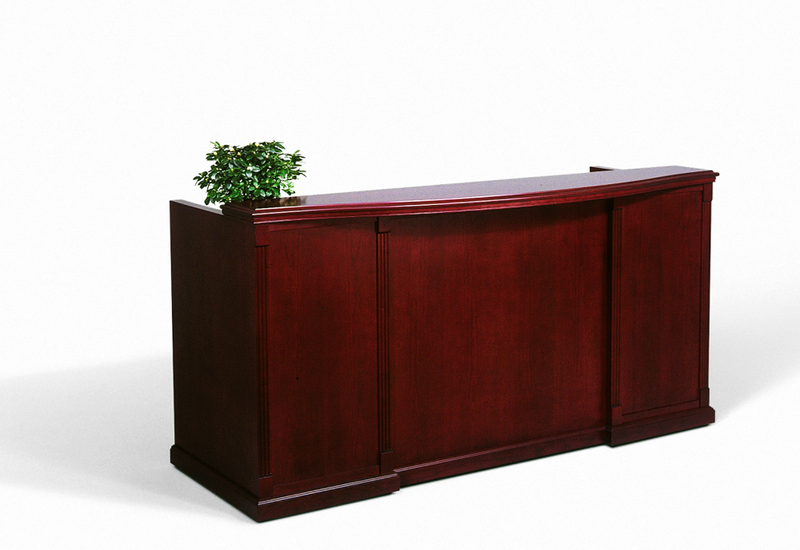 Worksurfaces feature a reverse ogee edge supported by detailed pedestals with mitered plinth bases. 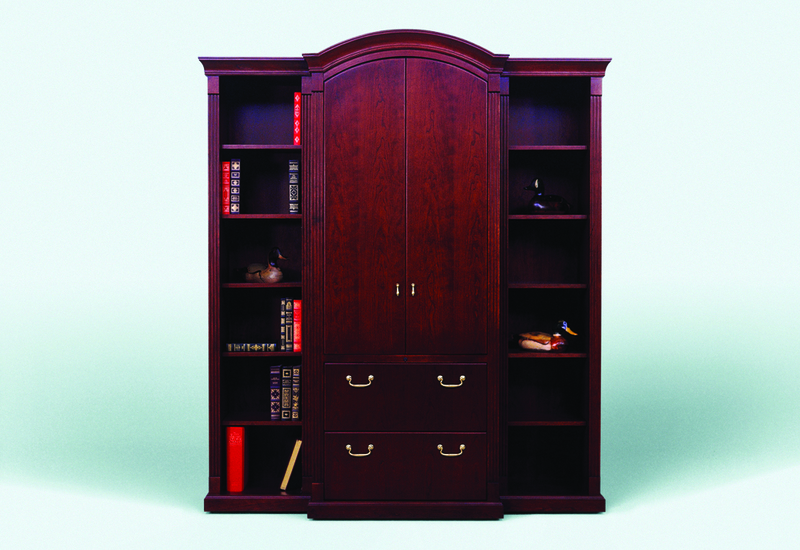 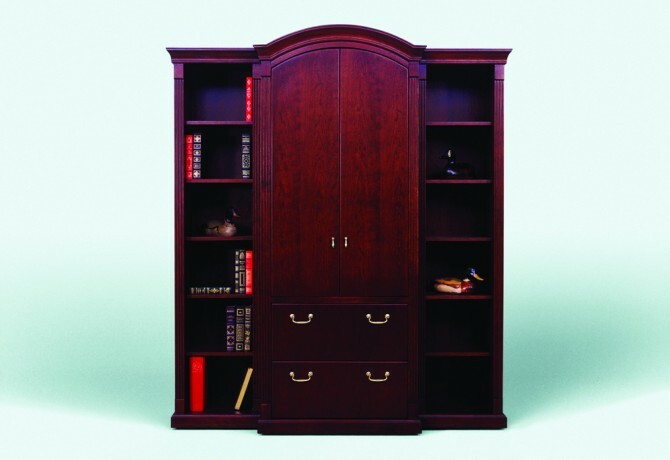 Stepped and fluted pilasters trim major vertical elements and the tops of tall storage units are capped with a crown molding to complete the traditional detailing. 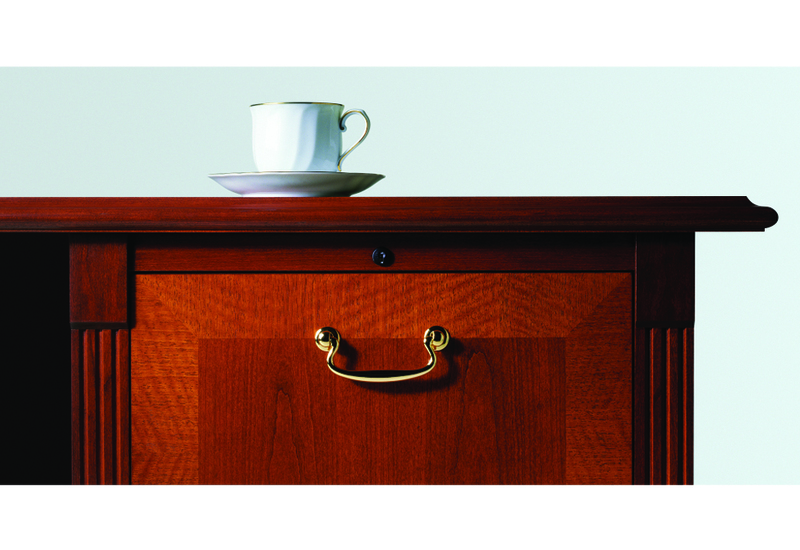 Bright brass bail style pulls are standard.